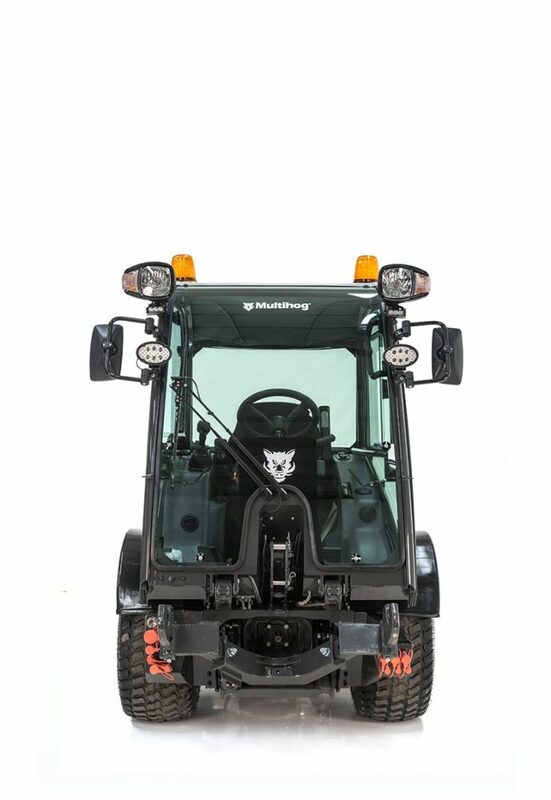 The Multihog is a unique range of multi-purpose articulated tractors that accept a wide array of attachments to the front and rear for all year utilisation to maximise return on investment through improved fleet efficiency and operational productivity. Established in 2008, the Multihog product has evolved and expanded through continuous innovation due to our close customer collaboration and success. 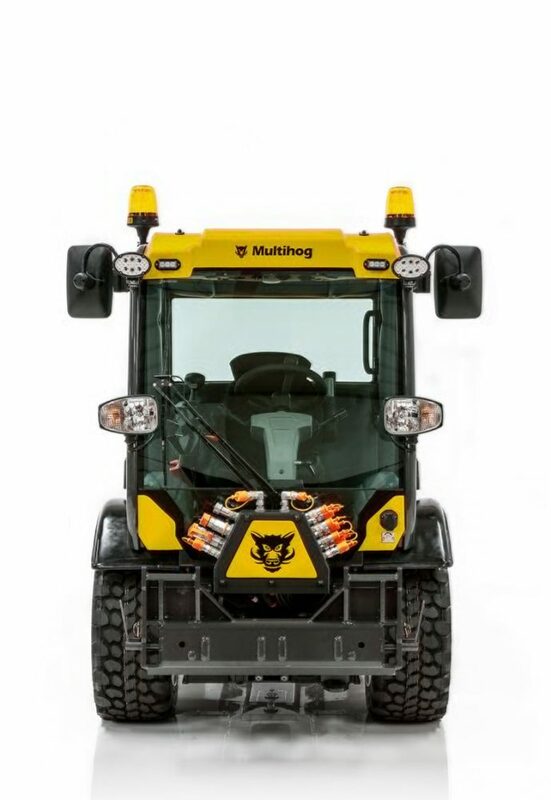 Every Multihog machine is road legal and can safely and speedily travel on the highway up to 40km/ph to reduce additional vehicle transport costs and every machine can tow – in addition, you only need a standard UK driving license to drive. 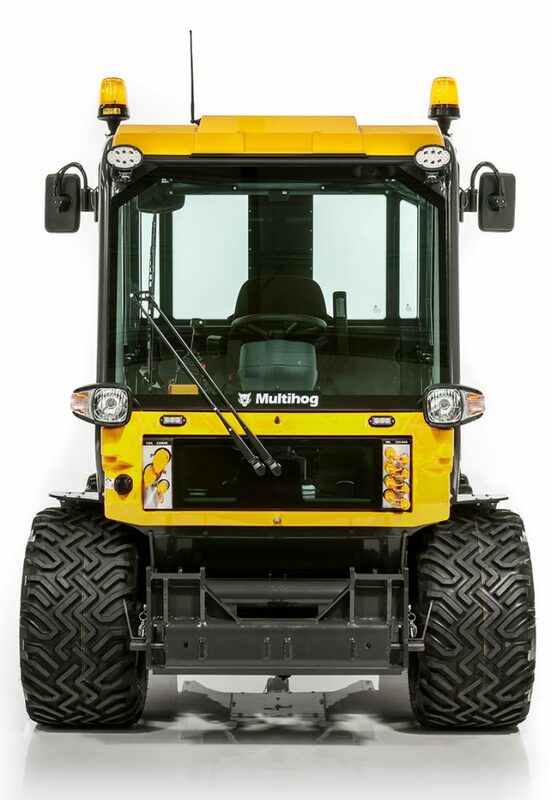 Every Multihog is designed to access difficult and different environments with ease as a result of the articulation. Most model’s same track pivot steer means the rear tyres follow the same path of the front. Rust is a must not – each Multihog’s steelwork is powder coated and salt spray tested for 2000 hours to guarantee longevity. 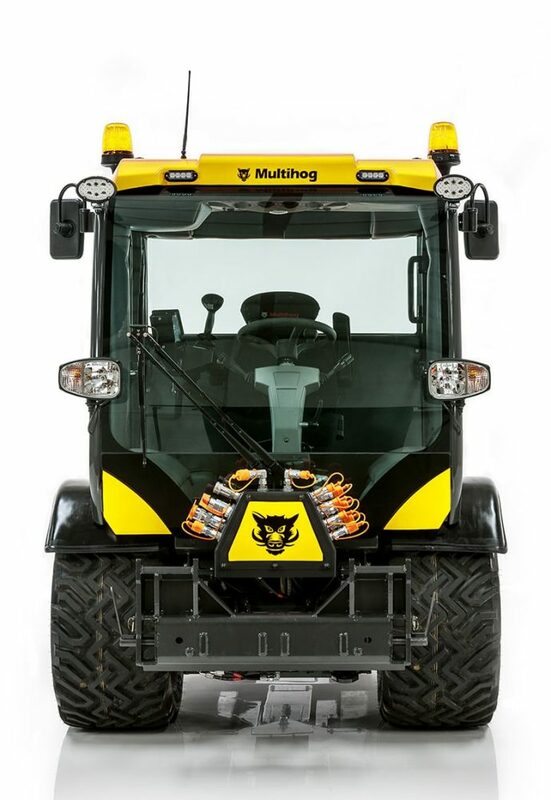 Unlike other manufacturers, all Multihogs are built in Western Europe and use quality components to reflect this. 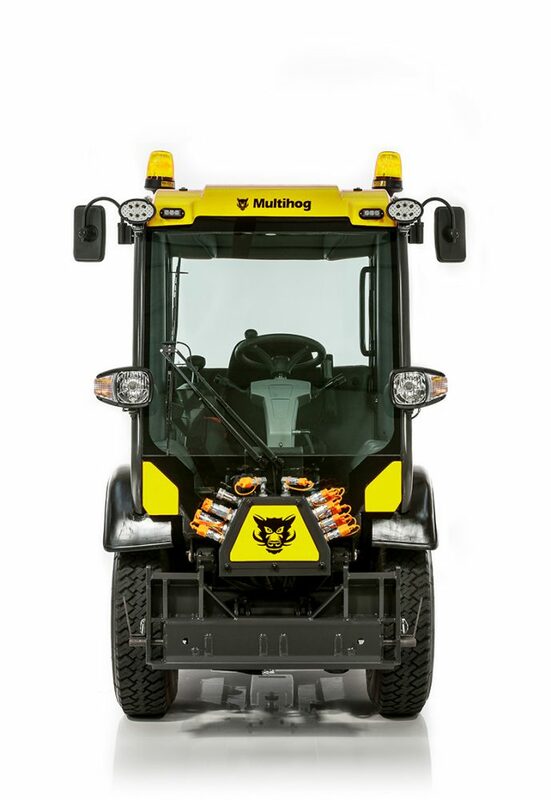 No ad-blue needed – all Multihogs are already fitted with ultra-efficient engines (Tier IV Final) regardless of size and equally every machine can pack a punch of between 90-120 litres hydraulic flow per minute. Designed to eliminate downtime, switching between different attachments on the front or back only takes a couple of minutes due to the quick release mechanism requiring no manual or mechanical work. 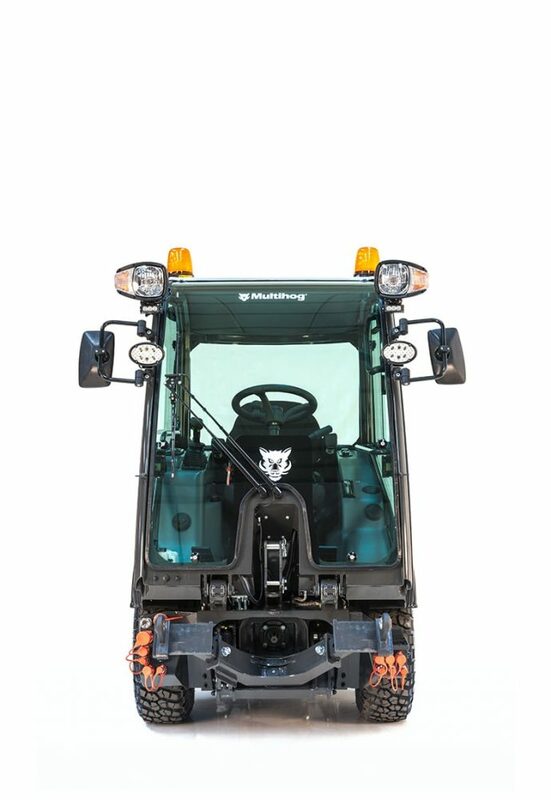 When an operator takes control of a Multihog they become a master of whatever application they undertake due to the comfort and familiarity of controls aided by 360° visibility, push and go drive and simple ergonomic joystick operation. Patented tilting work station with adjustable air-suspension seats allows a 20° tilt left or right for better comfort on all terrains. Each machine has an exceptionally low centre of gravity empowering performance on steep slopes and gradients.